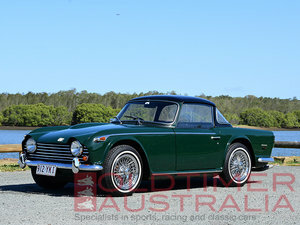 The RHD offered on behalf of a friend has a documented full history since new. 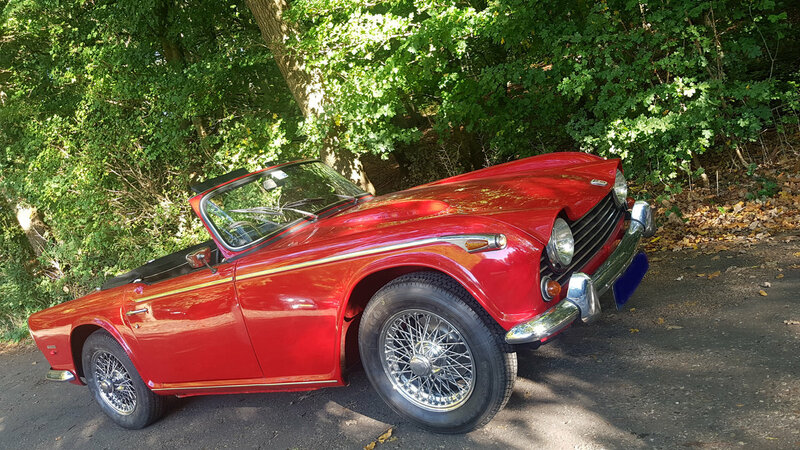 The car was delivered new to Miles Limited in Kent July 1968. In 1973 the car left for Italy, was known to A.S.I. but was never roadregistered there. In 2017 the car was by Paul de Keyzer from The Netherlands. 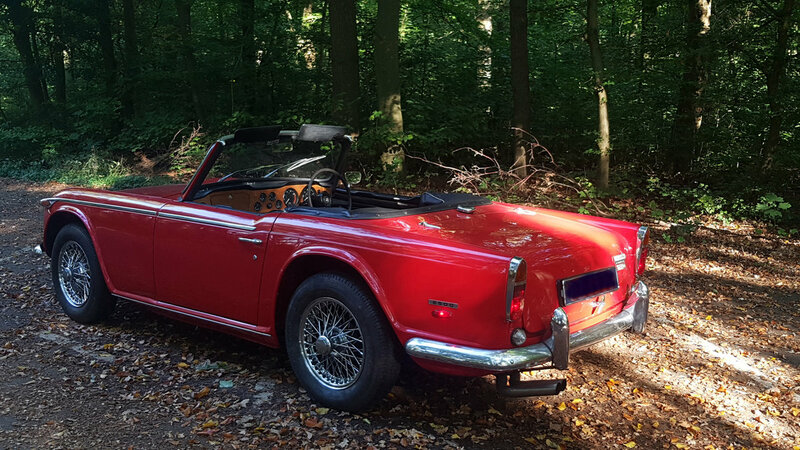 Although the car is registered in Holland it still has the original 'sleeping' UK Registration and plates. With little effort the car can be registered again in the UK with the original number. 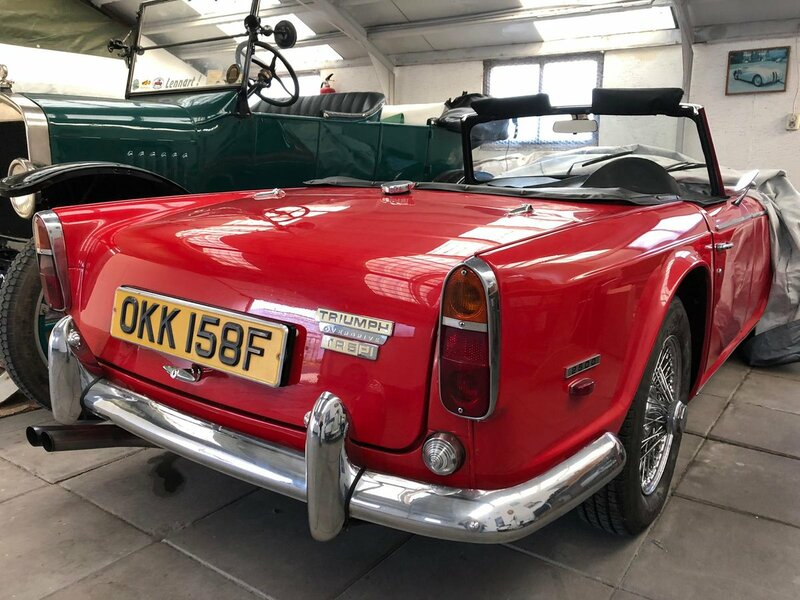 In the Triumph Owner’s Club Registrar Reports the car is described as a very low mileage original. The current mileage of 87.850 may be - based on the car’s appearance - the true number. 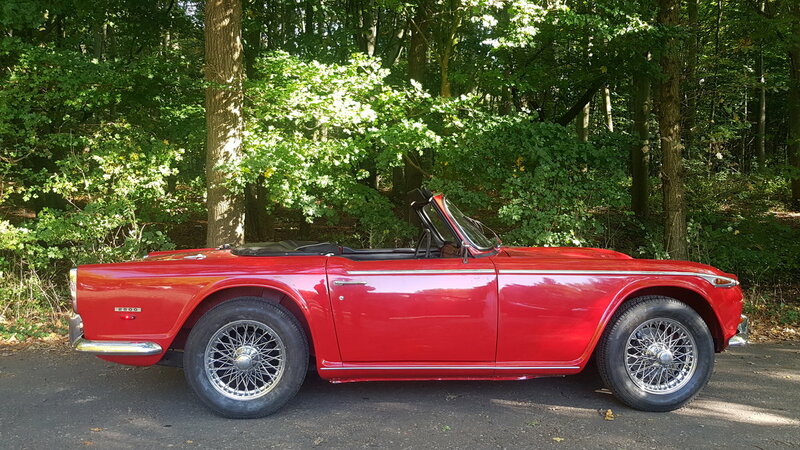 Condition of the car van best be described as a extremely well kept original, which is a very rare thing for a TR5. 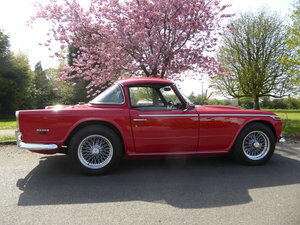 For all clarity the car is certainly not in concours or fully restored condition. But most sympathetic in appearance and keeping. 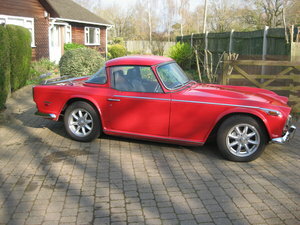 The car had a respray in recent years in the original Signal Red. Under the bonnet and in luggage compartment one can see how original the car still is. Amazingly, the original black upholstery in ambla with subtle white piping is still fine. 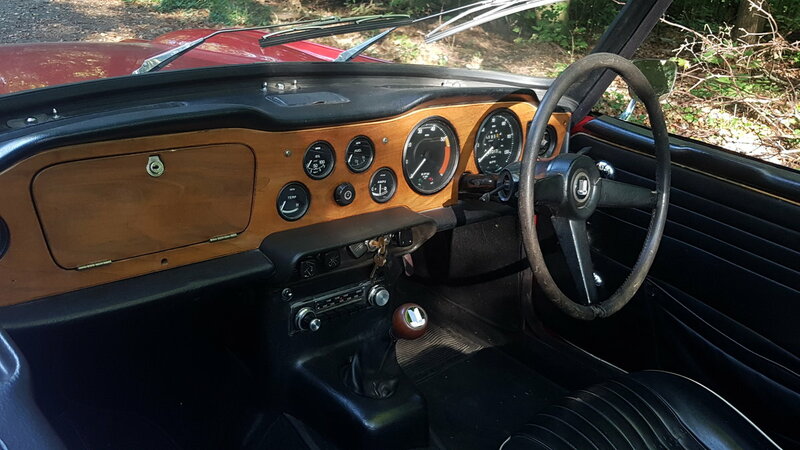 The original very rare steering wheel is in nice but well used condition; a new Motolita steering wheel with polished spokes and varnished wooden rim will be provided with the car. The car has the overdrive on 3 and 4. Also mentioned in The British Heritage document are the non standard chrome wire wheels, heater(!) and tonneau cover. A professional recommissioning was executed at over Euro 4000 in the spring of 2018. This including an overhaul of the gearbox, new disc brakes, new steering balls and a long list of details (invoice available). The top is in good condition and probably the first one. 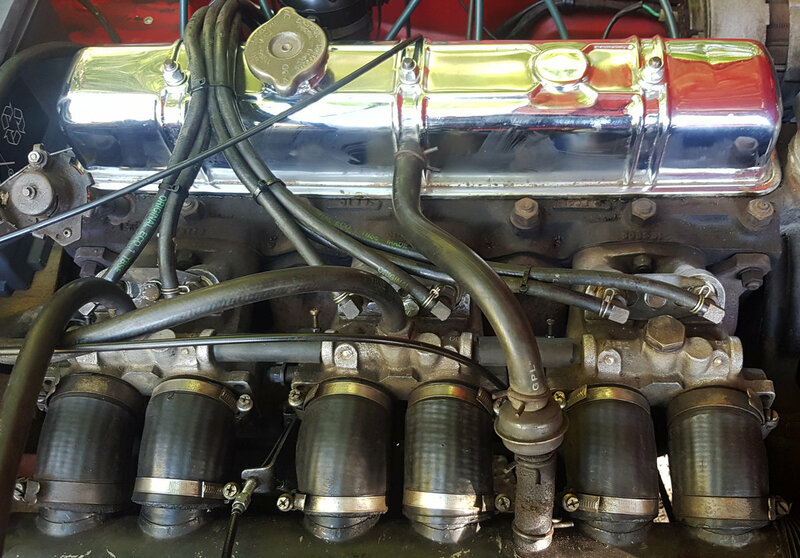 The 150 HP fuel injected 2,5 litre starts instantly. As soon the engine warms up acceleration is effortless to speeds that you don’t need. Steering is pleasant with seriously short turning circle and brakes are superb. A true pleasure to drive. 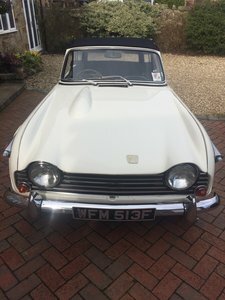 July 1968, MOT and Tax Exempt but does have an MOT to mid September 2019. Running restoration car with very little rust. Rebuilt over 20 year ago.CP series UK car with overdrive. I am in North Wales about 20 mins from Chester.